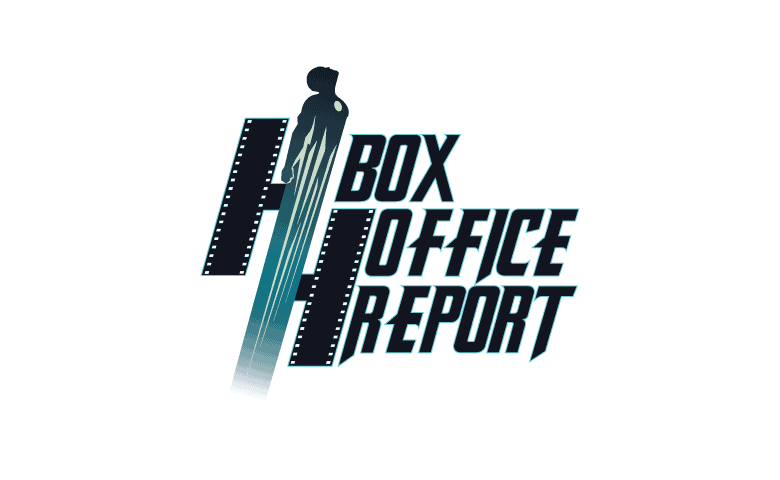 The final box office tracking numbers for Batman v Superman: Dawn Of Justice a week before release are out. Check out the video embed below for the numbers and analysis. Wait till you hear which specific group it is over indexing with! Fantastic! Thanks for getting this information to us, you rock. And awesome website, best of luck to you my man. I guess you can’t type any more. I don’t typically listen to people read me things because I read faster than they talk. So, instead of watching your video I find myself Googling for the info from other sites. I am usually of the exact same mindset when it comes to getting my news– EXCEPT when it comes to Umberto. His personality and enthusiasm is what makes his reporting so unique and fresh, IMO. Keep ’em comin’, El Mayimbe! I’ve said it before and I’ll say it now, BvS, for me and for MANY others, is the “Star Wars Force Awakens” of 2016. Not saying it’ll make as much money but it will make bank. I agree, it will slay at the box office and be king this year even over Rogue One. I could see it crushing most of the competition (though I woudl not personally bet on it), but outgrossing Rogue One seems like a pipe dream. Yeah, but I think putting “star wars” in the title will boost sales significantly, whether or not it should. I’m not nearly as excited for rogue one as I was TFA. I don’t think I’ll see it more than once in theaters where as I saw TFA 3 times. I can’t be alone here. Yeah, TFA was the first new Star Wars movie in years. Add the fact that there was a lot of disappointment in the prequels, it was a perfect storm of nostalgia and people waiting years to get a taste of the kind of Star Wars they’ve been craving. I’m sure Rogue One will make a lot of money, but it doesn’t have the same anticipation factor then TFA. Unless Rogue One is leaps and bounds better then TFA, I don’t see how it can come close to making as much money. Even though it’s a Star Wars product, Rogue One is the first of its kind, so we don’t know what to expect. It also has no nostalgia factor going in, at least according to what we’ve seen so far about the cast. It’s also a darker film. Obviously it will make money, but it’s yet to see if it’s going to make TFA numbers or close to it. I don’t disagree that it isn’t guaranteed TFA money, but it is part of Star Wars canon, people LOVE Star Wars anything (excluding Episodes I-III), and last I heard it was about the group who stole the death star plans, so it will end up benefiting from nostalgia possibly even more than TFA did. They could (most likely will) squeeze Darth Vader in and that alone could give BvSDoJ a run for its money. Wanted to add: I’m not saying it is impossible for BvSDoJ to outgross Rogue One, just that it seems really unlikely. i saw star wars 7 , but i think its overrated. It’s not going to be close to Star Wars. For people who loved MOS.. I agree..
You are missing the point. Not just with MoS lovers.. For DC lovers. This includes Batman lovers, Wonder Woman lovers. Now possibly even Flash lovers. People forget that Star Wars is a mostly western Phenomena. DC is global. It wont hit star wars numbers but it’s going to be huge. The critics reviews will be higher now that the shock of an actual comics adaptation to DC characters is understood. That was what killed MoS. The critics expected another boy scout hero. They got a DC comics Superman. Then the Marvelite hate piled on. The MoS still made good $$. People ignore the 76% viewer rating to make their “MoS sucked” argument stronger. Because with it that entire argument goes out the window. I’m a DC lover.. I was really disappointed with MOS. I love Batman and Wonder Woman, Sandman, Constantine, Superman… Been reading this stuff all my life. Loved the Nolan films. I am worried that I won’t like this. I would love for you to be right.. I really would..
Have you seen it or are you talking about the poor reviews? That really much said how this movie will turn out. Probably another 50% Rotten Tomato from Zack Sucker Punch. Not saying the movie is bad, but it will divide the audience. Not really. A lot of people who didn’t like MOS have liked BVS. He was specifically referring to the dark tone of MOS and people who had a problem with that over some actual issues like the script were tools anyway. Personally, I hope to like this a lot more than I like either the Avengers or Dark Knight. That’s not a particularly high bar for me to clear. Critics percentage is not equal to general audience percentage. Not to be mean, but you need to revisit your math and verify the meaning between critic and audience. To be fair it’s at 32% will be close to Sucker Punch rating by time this week end. The fan is 78%, NOT A GREAT number either. If hundreds people say you’re guilty, chance is you must be some what guilty more or little, standard of life. As we got closer to the release of TFA, my son was super excited about it, and I was excited to take him, but I told him that I was still more interested in this movie than that one. Then we saw TFA, and it was what it was, and I felt perfectly justified in my original position. I don’t expect this movie to make anywhere near what TFA made, but I expect the script/story to be significantly more engaging (despite what I think have been some poor choices in the clips that have been released in the last few days). I’m still looking forward to this movie probably as much as I’ve allowed myself to look forward to any movie since I felt horribly burned by the Dark Knight. Rogue One is the Force Awakens of 2016. Batman v superman will not make as much as Rogue one. He’s saying $175-$185, maybe more. He also focuses on how much the interest for every demographic has drastically increased in the past week. Jon Schnepp is saying this will do over $200 opening weekend, and he’s been on fire with the predictions lately. This is starting to feel like Star Wars all over again for me. My final prediction on Force Awakens was 195 million. My original prediction for BvS was 180 million. Im starting to seriously think it has a chance at 210. I don’t see it getting anywhere near Star Wars. that would be sad, considered Deadpool make close to that $150, for 1/4 of BvS budget to make. Deadpool had probably the best marketing campaign for any movie made in the last 10-15 years so they earned it. In the end, BvS will probably end up with $1.2-1.4bil. Not bad for the second movie in the slate. Could not be more hyped for the future movies in the DCEU! Excellent point about DP– the most impressive marketing I’ve seen since The Hangover, with EVERYONE wanting to see it. Also they used VERY little footage from the actual movie. It was just Deadpool being Deadpool. It didn’t hurt that the movie was HYSTERICAL either. You can’t point to one artists success to proclaim another’s failure. BvS cost what it did for many reasons, from the Oscar laden cast & crew, to the extended production time, to the sfx, and on and on. For BvS to be successful it needs to be a good movie that sets up the DCEU. That’s it. It doesn’t have to beet the Avengers or Star Wars. It has to be a good DC movie that leaves people wanting more DC movies. Are you replying to the right person? I completely agree that BvS and DP are apples and oranges; I was agreeing with sinthetic realitys point about DP’s incredible marketing effort. I highly doubt it will be that big. No idea what the rest of that crap you wrote means. Looks like Snyder won’t have any problem getting The Fountainhead bankrolled. Oh man. such orgullo to be the culprits of the mass ticket sales. But aren’t we already responsible for most ticket sales overall for blockbusters?. I wonder how we do with indie films, though. I personally love them but I hardly notice any of my people in the theatre. Unless it’s only the theatres I have chosen to go to. I am so excited for BvS!!! Put your phone landscape instead of portrait.